Xiaomi is expected to launch Mi Mix 2 in Q4 of 2017. Mi Mix 2 will likely have a near bezel-less screen up to 93 per cent of screen-to-body ratio. Now According to Geekbench listing, Mi Mix 2 will come with Snapdragon 835 & 6GB RAM. Mi Mix 2 will be powered by Qualcomm Snapdragon 835 coupled with 6GB RAM and runs on Android 7.1.1 Nougat. It is rumored that Mi MIX 2 will be using a curved AMOLED panel.Mi MIX 2 is said to feature ultrasonic fingerprint sensor under the display itself. The fingerprint sensor was present on the back of the first generation MIX. It is also expected to come with Cantilever piezoelectric ceramic acoustic system instead of a standard earpiece, similar to the predecessor, allowing you to listen to calls without the earpiece.No more details have been leaked yet. 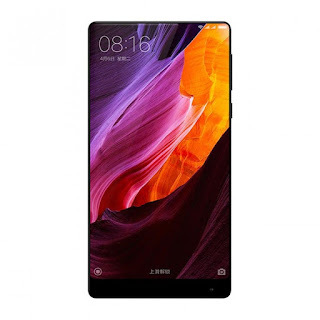 Xiaomi Mi MIX has a 6.4-inch screen with 91.3% screen-to-body ratio powered by a Snapdragon 821 Processor coupled with 4GB/6GB of RAM and 128GB/256GB of internal storage. On Camera, it has a 16MP rear camera and 5MP front facing camera Packed by a 4400mAh Battery.